As a startup it's important, to hand out a smart double sided business card , one side displaying your company logo and the other side with all your contact information to your prospects. Logo will really mark an identity of your company whilst the contact information is what your potential client will refer when in need of a service you can provide. A well designed business card can make all the difference when you are trying a strike a good first impression for your brand. Make sure you leave no stone unturned when it comes to business cards to leave an impact in your very first meeting with your client. quick to share business cards in your wallet. Whenever you are out and about networking, from trade fairs to corporate visits you'll always be ready to strike a conversation. Not just that, even at your next door gym or park, you will be ready to share your contact information, in case a topic on your proffered service comes up with a just met acquaintance. 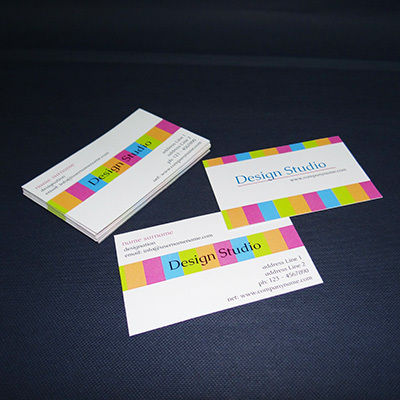 At Reliable Prints, you can order a doorstep delivery or ensure a pick-up for your business cards. Have a design ready? Get uploading with the template, adding of delivery details and click pay to send your economy business cards for printing. Plus you can do all this in the comfort of your home or office. If you do not have a design ready as yet, you can get one on the website itself. From the ready templates make a business card of your choice, add logo and contact details, confirm the layout and design. Once you will make the payment, your design will precede for printing. It's really that simple. Print double sided business cards in glossy or matt finish. You can also get 4 color printing done on various type of stock. 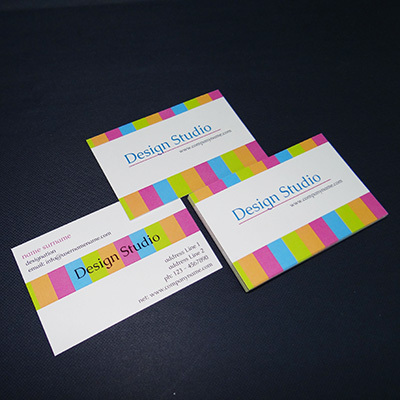 That's not all, you can even print your business cards further with choice of paper thickness to suit your budget. Take a pick from 270 gsm matte ivory card or 300 gsm gloss art card, whichever you prefer in terms of paper media and thickness. 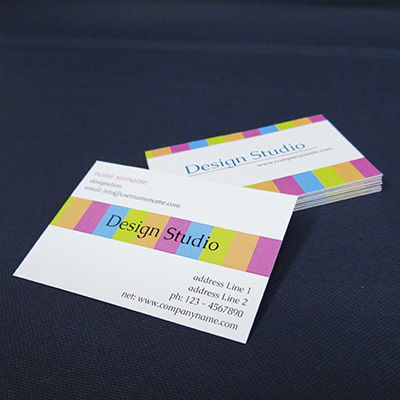 Creating and printing double sided business cards was never this fast and easy. Get started now.